The blue hour varies from place to place, from time and from space. To know this is a gift, a blessing and a curse. Wouldn’t it be easier to release my hold on the world that I wish I knew? To eat that proverbial oyster and swallow it hard along with my pride? Is it pride or is it the need to fulfill my wanderlust? Will that wanderlust fail me? Did it fail my parents? Did it ever leave them? It’s a curious feeling being torn between two places. Maybe even three. Having such strong inclinations towards being in a number of settings, not just a vacation- but living, can be confusing. I’m not sure where I’m going to find myself (what a telling choice of words) in the next year. With all of the moves in the past few years, I’m learning to realize that I can find things about anywhere I live to make it a home for the time I need it to be. I love the small things that come with living in my home state, Washington. The drives down the grey harbors and the lush smell of Evergreen trees at my father’s grave. 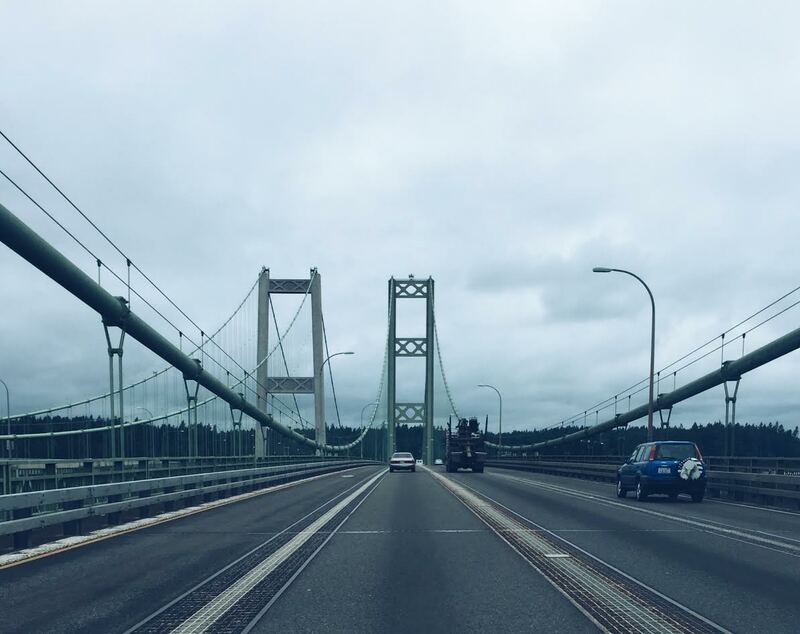 I spent some time in Gig Harbor where I grew up this past week and driving down the street where I lived for over a decade and letting muscle memory bring me back to old haunts. The almost deafening quiet at night is almost post apocalyptic, and it suits my moods much of the time. There are aspects of New York that I already miss all the same, only have been there two months thus far and away from the city a week. Skipping down the steps of the subway station with my headphones in or running through the streets of Uptown past shrouded martini bars and mounds of plastic garbage bags is something that simply can’t be achieved anywhere else. While the city does sleep, there’s something constantly alive about it and I love waking up on Sunday mornings to an unusual quiet after a long night of the air filled with the sounds of karaoke, knowing everyone is hungover and prepping for an exorbitant brunch. Time is otherworldly, too. Sometimes I can’t figure out if I did something three days ago or the night before. There are days where it feels like I’m moving under water, with what feels like a hundred things happening within a day and then there are entire weeks that go by so quickly I have to remind myself of specific things to make sure they really happened. As I said a bittersweet goodbye to my loft yesterday as I overlooked the Glass Museum, I was bidding farewell to the notion that I’ll ever really know what’s going on. I keep telling myself not to worry about the future and remember that no matter how much I plan, things are always going to go their own course yet somehow I find it so difficult to loosen my grip on what I think should happen. What kind of person I should be. Where I should be. Who I should be with. What I should do. It’s possible that I’ll be making another move in another few short months, but when that happens I hope that it is less exhausting: emotionally, physically, mentally. I hope that within that time I’ll have learned to roll with the punches enough to diminish the bruises and soften the blows and even if it does leave its mark, be able to savor the ringing in my ears when I pick myself up from the fight. Stop “shoulding” all over yourself! It’s what I have to remind myself all the time. Love you, Anna!